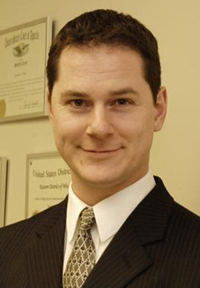 Jonathan has worked in employment, business and real estate law for over a decade on over 1,000 legal matters ranging from administrative hearings to multistate half million dollar Federal litigation and from contract drafting and negotiation to business incorporation and business licensing issues. Prior to that he clerked during law school with a national/international law firm focusing on Federal and State litigation. He graduated from the University of Wisconsin Law School where he was a member of the Moot Court Board and the Board for the Business and Tax Law Association. He completed his undergraduate studies at the University of Wisconsin at Madison, where he graduated with distinction and received a degree in Legal Studies. When not working, he enjoys traveling with his wife, golf and working on classic mustangs.